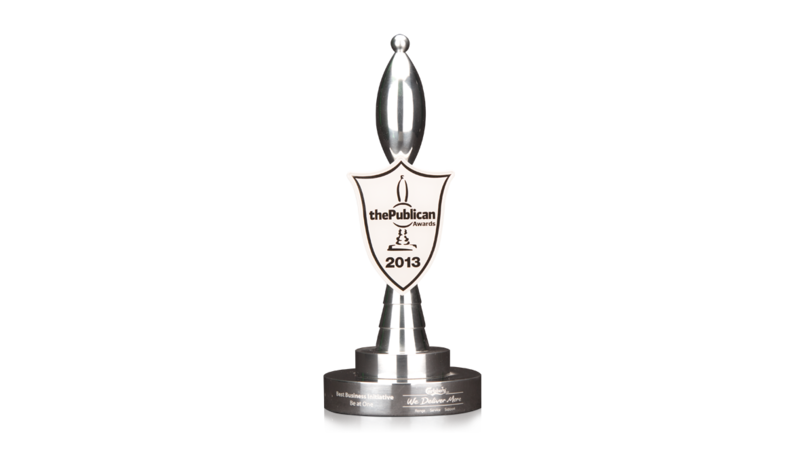 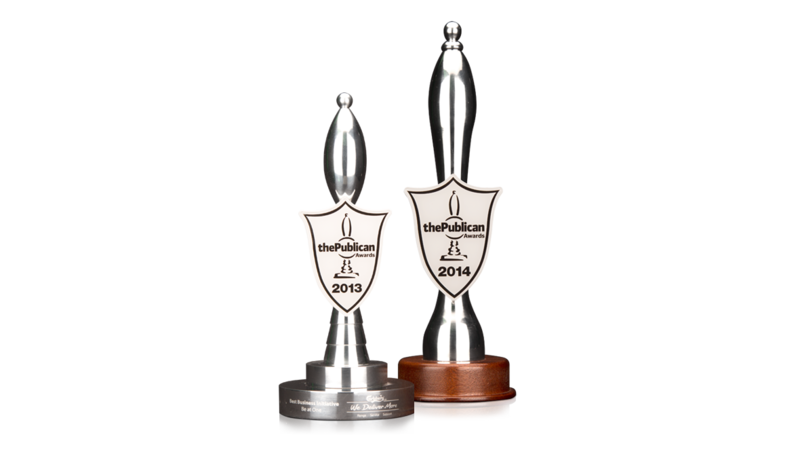 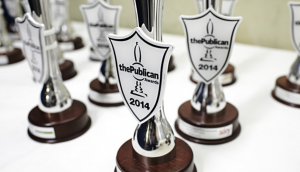 This iconic turned metal trophy was presented at The Publican Awards. 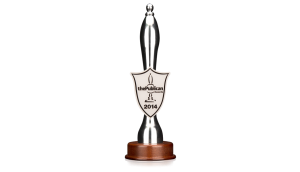 Finished in polished aluminium, this award is 3D machined to create a memorable design every publican would be proud to display. 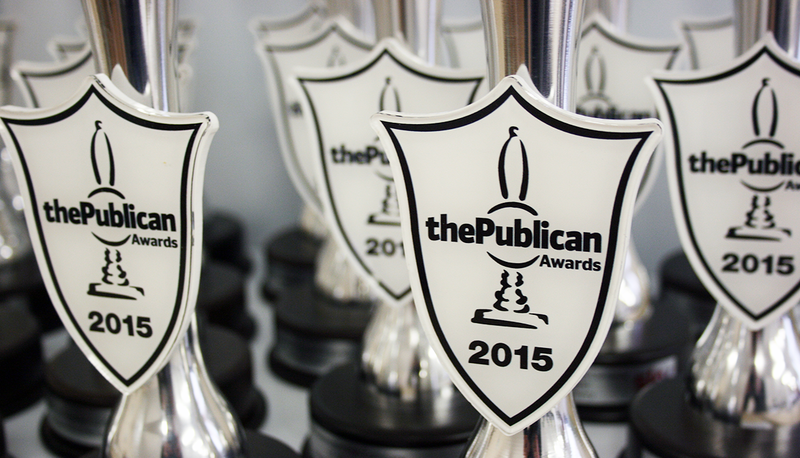 The result is a tactile award with a great look, truly a statement piece. The smooth wooden base offers great contrast, and the final trophies were fitted with an engraved plate for the winner’s details. Engraving is a fantastic way to personalise an award in a classic and simple way.